Could healthcare providers be making medical errors because they are too involved in their jobs? It seems counter intuitive, yet some tired, burned out staff have gotten that way due to the intensity of caring. Compassion fatigue is a condition that often affects caregivers, such as people caring for a loved one at home, and those in the helping professions, such as nursing, medicine, social work and so on. It is most common in people who have a high commitment to caring for others at the expense of themselves. People who are both taking care of others, plus trying to handle high stress situations are especially vulnerable to compassion fatigue. Compassionate professionals and caregivers tend to be strong people. They are often asked to take on more than the average person would be expected to handle. Because of their compassionate nature, they tend to say yes when asked to help another, even when their own resources are low. This can lead to a loss of balance between caring for others and self-care. Pat knows a nurse who fell asleep when she was on call after working 12 days in a row. She slept through a call from her employer, was fired and reported to the board of nursing. Her employer told her she did not have to take the on call request. The nurse took the call because she did not want the patients to suffer. Research shows that long-term exposure to people in severe pain, suffering, or trauma is often linked to compassion fatigue. Family members may be responsible for an aged parent or a child with extraordinary medical needs. Nurses and other professionals at risk work in burn units, oncology, hospice and other areas where patients have prolonged suffering or extreme trauma. Two factors that contribute to compassion fatigue are long-term or chronic exposure to extreme suffering and the lack of awareness or attention to the gradually increasing signs of fatigue. Additional factors in the healthcare work setting include lack of organizational support, overwhelming workload due to short staffing, and the tendency for caring professionals to tend to the needs of others to the point of ignoring their own needs. Nursing staff, for example, may be unable to take meal breaks and even find it difficult to get away to use the bathroom. Compassion fatigue does not happen overnight; it happens over time. The strong value for serving others to the detriment of one’s own health, while working under chronic stressful conditions is a formula for fatigue that contributes to medical errors. A person who is developing compassion fatigue is often not able to see what is happening. It’s a nurse manager, a coworker or someone in close relationship to the caregiver who is in the best position to identify the signs of compassion fatigue. With the proper help a person can recover from compassion fatigue. The first step in recovery is to recognize that there’s a problem. The next step is to get appropriate help. Learning how to care and be compassionate, while maintaining clear boundaries is a skill most caregivers have never learned. The person will need to put in place effective daily self-care habits, recognize emotional and physical cues and learn to set limits. A compassionate person who is out of balance actually creates more problems and may make medical errors. Caring too much can be harmful. Aila Accad, RN, MSN is an award-winning international speaker, bestselling author and certified coach and EFT advanced practitioner & trainer, who specializes in quick ways to release stress and empower your life. 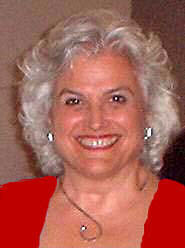 A member of the National Speakers Association, she is a popular keynote speaker and radio and television guest. 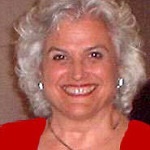 Her bestselling book “34 Instant Stress-Busters, Quick tips to de-stress fast with no extra time or money” is available at www.stressbustersbook.com. Sign up for De-Stress Tips & News at www.ailaspeaks.com and receive a gift, “Ten Instant Stress Busters” e-book. Learn how to stay healthy and be an informed patient. Receive your free digital monthly magazine, Avoid Medical Errors Magazine at www.avoidmedicalerrors.com.